It is almost time for the start of the 2019 baseball season and everyone is revving up for some fun. If you are hosting Baseball Opener party this year, there are so many cool food and decoration ideas to celebrate America’s favorite past time in style. 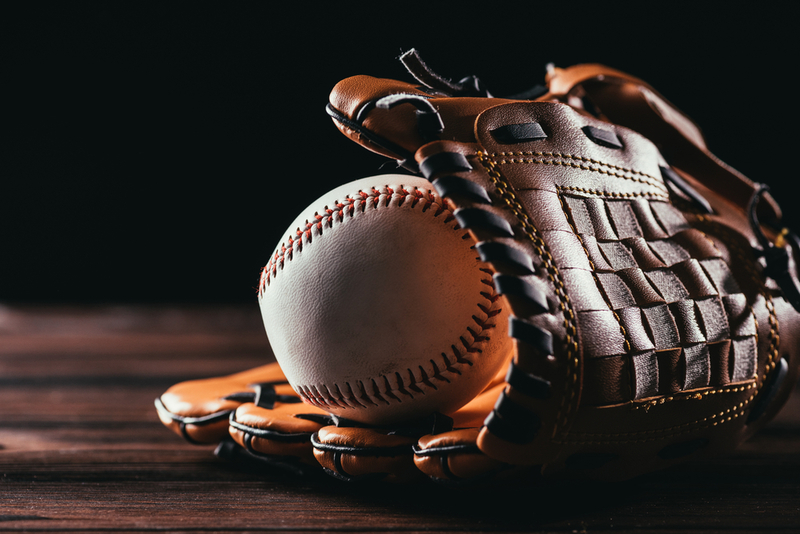 Check out these 12 awesome baseball party ideas to kick off the 2019 season. Peanuts and Cracker Jacks have been a staple at baseball games since the late 19th century, hence their starring role in the song, “Take Me Out to the Ball Game” so of course they will make a great addition to any baseball opener celebration. Fill up some paper bags decorated in your team’s colors with peanuts and boxes of Cracker Jacks and set them in the center of the table so they can do double duty as snack and decoration. Another big staple at baseball games is the soft pretzel. Your party guests will appreciate having their doughy deliciousness to chow down on while watching the game. If you love to make things from scratch, you can even bake these homemade soft pretzels from Healthy Delicious. For before the game starts and during the seventh inning, set up some photo booth fun with these Paper Built Shop Printable Photo Booth Props. Just attack the props to popsicle sticks or skewers and make some fun memories. You know, of course, that hot dogs also have to be on the menu, but why not spice things up with different versions of this baseball game staple like the Texas Tommy Hot Dog. Who doesn’t like cheese and bacon? During a nail biter of a game, your guests will definitely want something sweet to nibble on. If you like to bake, try these DIY Baseball Cap Piñata Cookies from Hungry Happenings. You can use food coloring to add your team’s colors and logo to make them extra special. Another unique idea is these DIY Heart-Shaped Baseball & Pretzel Bats. It is a simple process and won’t take too long to make. First, you make the heart-shaped chocolate candies and then dip them in white chocolate. Next, use some red piping to create the stitching and use pretzel sticks for the bats. Nothing makes a fun party even better than cool goodie bags. Send your guests home with a special reminder of all the fun you had by giving everyone baseball-themed goodie bags. You can fill each bag with candy or peanuts and a small little keepsake. They make great baseball party ideas. Nothing washes down all those hot dogs and peanuts better than a cold beer so make sure you have plenty of beer and other adult beverages for your guests over the age of 21. For a casual approach just stack the beer bottles in tubs filled with ice so everyone can grab what they want. For a more sophisticated approach, buy some pint glasses like these Acme Party Box Co Biere Glasses. And the great thing about these is that you can use them again for all your other spring and summer get-togethers. For your guests who prefer hard liquor, prepare these Baseball Jello Shots which are sure to be a hit. Feeling really creative? Why not create a makeshift Concession Stand in your home or backyard if the weather is nice. Display all the snacks and treats using tiered dessert trays making it easy for everyone to grab what they want. This small extra detail can make everyone feel like they are at the stadium instead of your family room. Sprinkling a little confetti on tables is always a simple, but effective way to bring some color and sparkle to your home when you are having a party. Find some baseball-themed confetti like Forever Yours Truly Baseball Confetti to elevate your decorating game. Another cool decorating idea is to create mini pennants in bright colors to label all your food. You can get free pennant printables from Nathan’s Famous. Baseball games can be long, especially for the kids, so plan for some simple party games to keep everyone entertained throughout the games. 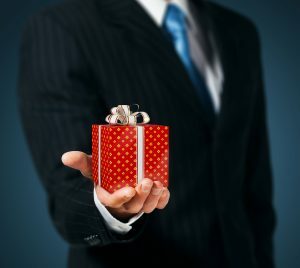 For the adults, consider asking everyone to place a friendly bet on which team will win the game and offer a small prize for the winner. 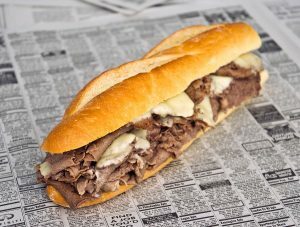 Last, but certainly not least is the cheesesteak. Most stadiums offer them at their concession stands and it is always the perfect treat for during the game. 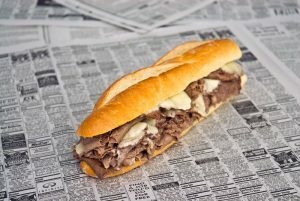 And if you are a Philly fan or Philly transplant living elsewhere in the country you of course will want to offer your guests an authentic South Philly cheesesteak, right? Luckily making authentic cheesesteaks at home has never been easier. 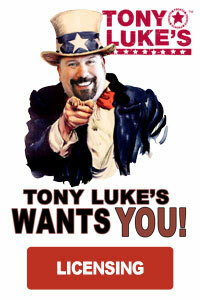 Tony Luke’s, considered one of the top cheesesteak shops in Philadelphia, is now offering frozen cheesesteaks that can be sent in the mail either to your home or to someone else as a gift. 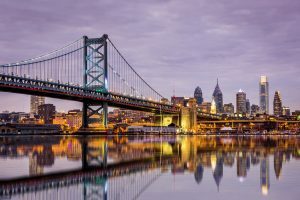 Once you receive your package of frozen cheesesteaks all you have to do is bake them in the oven for 20 minutes in order to experience the same great sandwich they would get inside Tony Luke’s South Philly shop. These frozen sandwiches are very easy to heat up and no assembly is required either.